Today we had our first baptismal service for our deaf church. 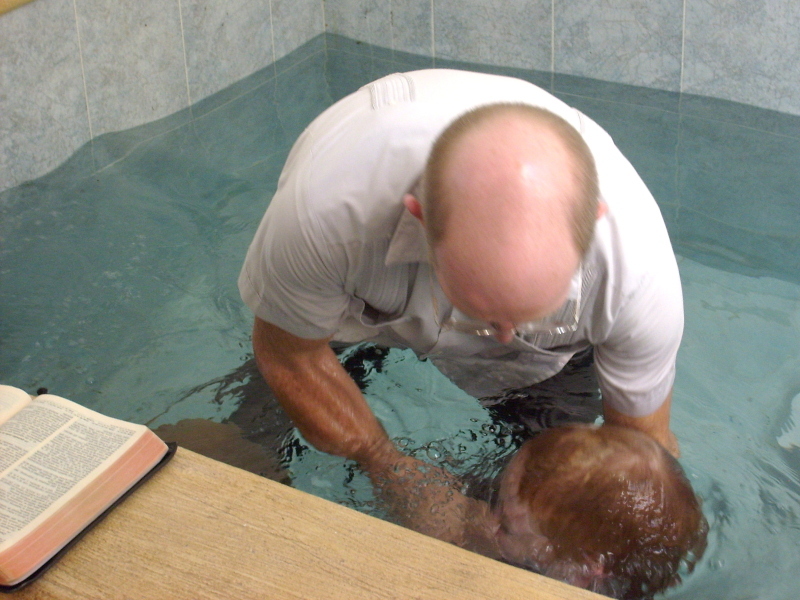 Though we have had one of our members baptized, he was baptized in the church from which he came. We were just getting organized as a ministry and he had grown up under the other pastor (a good church of like faith). They already had the baptism planned and therefore we gave the other pastor and church the honor. Today we had a deaf man of 28 years of age get baptized. Eduardo has been coming to our church since the end of August or the first of September. He accepted the Lord as his Savior in September. The other missionary with whom we work spent the month of November explaining baptism to our church and its significance. 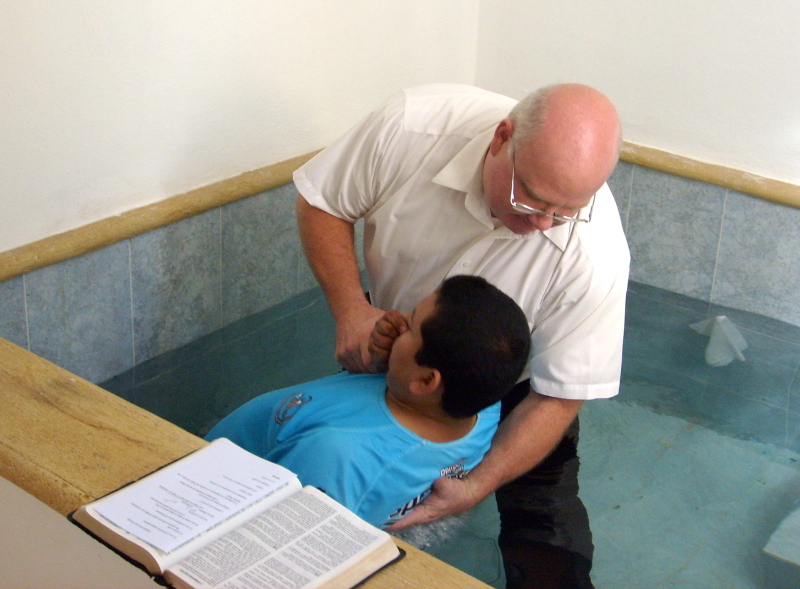 Eduardo indicated that he wanted to be baptized. The second person baptized today was our son. It was my privilege, a few years ago, to lead him to a saving knowledge of the Lord. Today I was honored in being able to baptize him as well. It was a special day at church for all of us. These are steps on the road to spiritual maturity in our ministry.